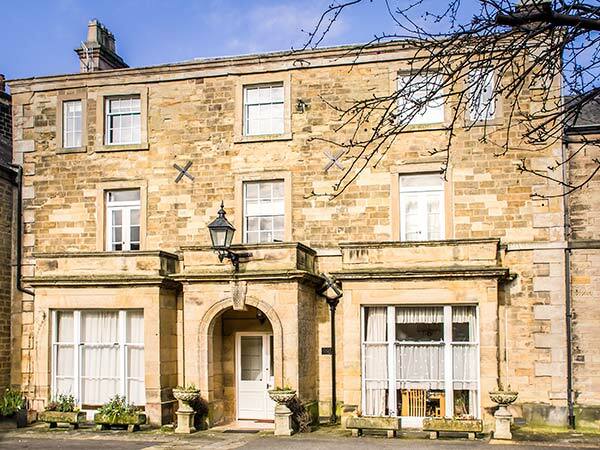 Granby House Chatsworth Suite is a superb first floor apartment in the heart of Bakewell. The apartment sleeps four people in two king-size double bedrooms, both with an en-suite. There is also a fitted kitchen and a sitting room with a balcony. Outside is off road parking for two cars. Set right in the centre of Bakewell and with fabulous shops and cafes on the doorstep, Granby House Chatsworth Suite is a wonderful destination for a memorable holiday, all year round. All first floor. Two king-size double bedrooms (one with en-suite freestanding bath, hand-held shower, separate shower, basin and WC and one with en-suite shower and green energy saving WC with basin above). Kitchen. Sitting room with dining area and balcony.